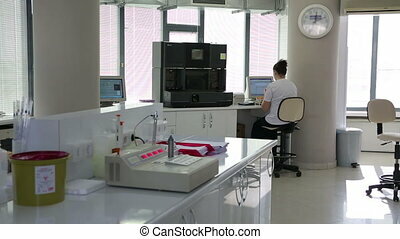 Female researcher carrying out research in chemistry lab. 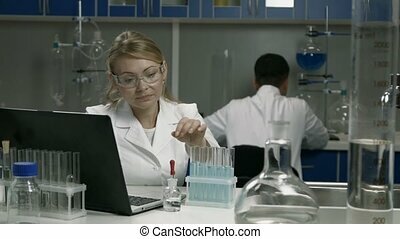 Attractive female scientist with protective eyeglasses holding a flask with blue liquid substance in chemical research laboratory and taking notes as her male colleague works on background. 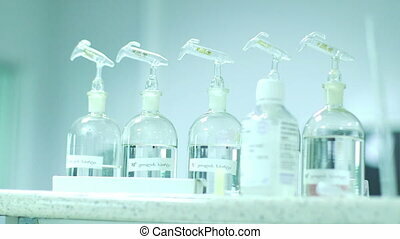 Concentrated female scientist researcher and her young male coworker conducting experiment in laboratory. 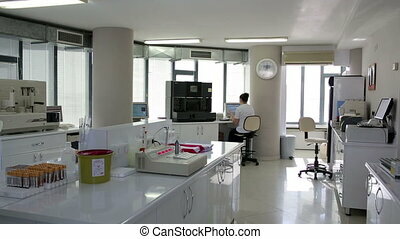 Professional team working with microscopes and sharing their opinions about scientific samples in modern research lab. 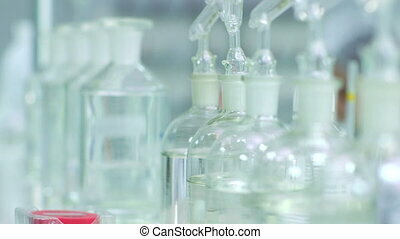 Beautiful expirienced blonde female scientist in eyeglasses looking at test tubes with solution in chemical laboratory. 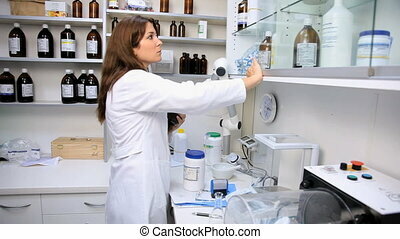 Young attractive woman chemist working with test tubes in chemical research lab while conducting an experiment. Dolly shot. 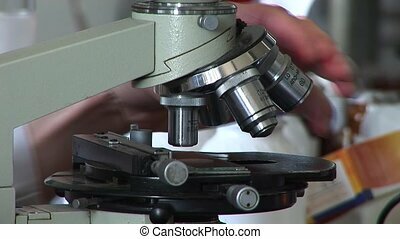 Male mixed race scientific researcher using microscope in the laboratory. 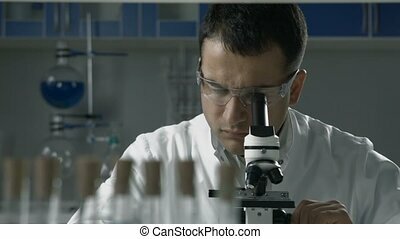 Handsome male scientist doing microscope analysis while conducting research in lab environment. 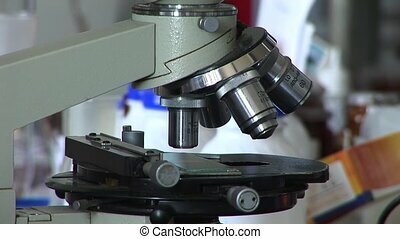 Concentrated male scientist looking at biological samples under microscope. Bright minds at work. 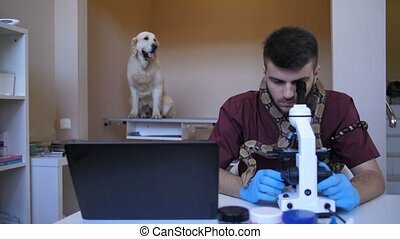 Senior female researcher and her young handsome mixed race male colleague discussing results while working with microscope in modern laboratory. Confident scientists making experiments in reasearch lab. 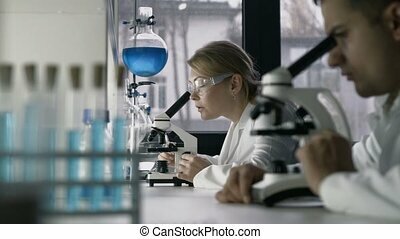 Attractive female supervisor in goggles and her male mixed race assistant analyzing microscope slides in research lab. 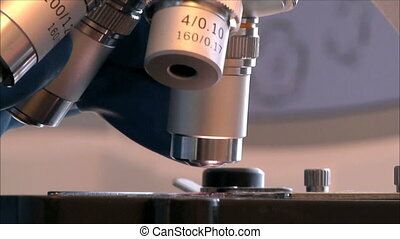 Researchers conducting scientific experiment using microscope and taking notes on clipboard in life science laboratory. Dolly shot. 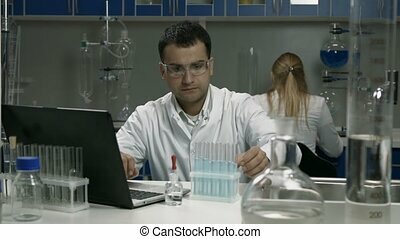 Skillful young male mixed race scientist examining a flask with blue liquid in modern chemical laboratory and taking notes. 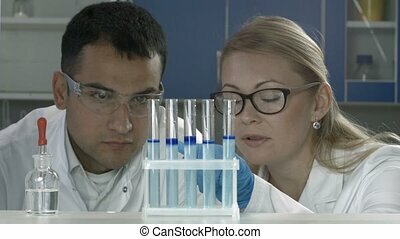 Handsome male researcher carrying out scientific research in lab while his female coworker working on background. 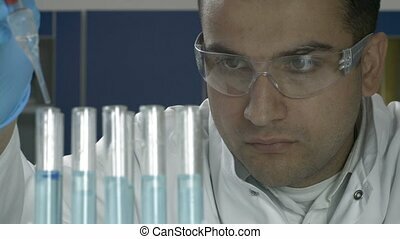 Handsome mixed race male scientific researcher examining test tubes with liquid and recording results of experiment on latop in chemical lab. 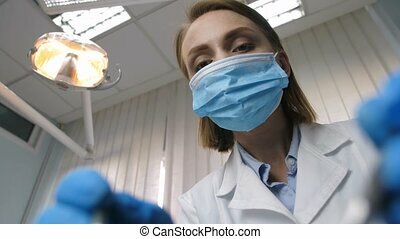 Male scientist in protective goggles working in laboratory with coworker on background. 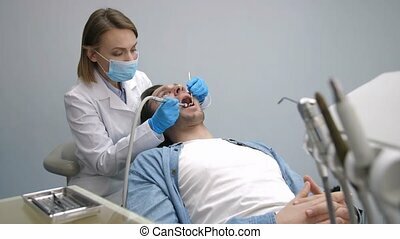 Senior female scientific researcher and mixed racemale coworker discussing results of experiment in chemical laboratory. 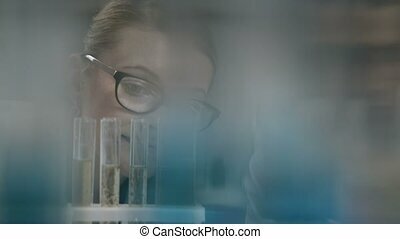 Female scientist in protective gloves holding test tube with fluid sample and discussing biological reaction to colleague in lab. 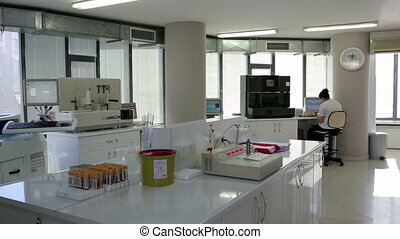 Burned up young post doc researchers sleeping in laboratory while doing overtime experiments late at night. 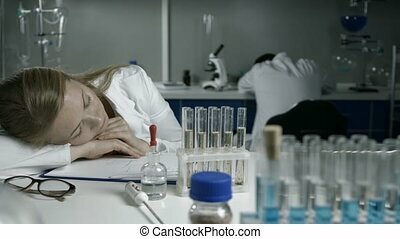 Exhausted female scientist wakes up and continues wirjubg in chemical research lab while her tired male colleague sleeping on the background. 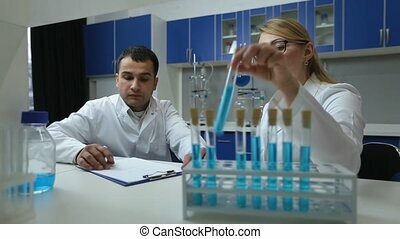 Mixed race male scientist in protective goggles holding pipette and filling test tubes with blue liquid, making research in chemical laboratory. 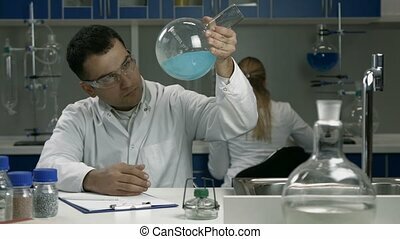 Researcher observing the blue indicator color shift after the solution distillation in chemical lab. 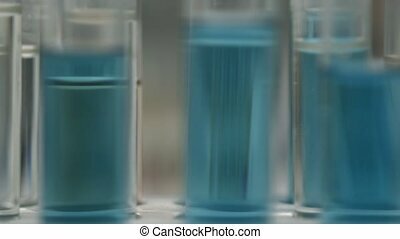 Experienced scientists analyzing test tubes with blue liquid in research laboratory. 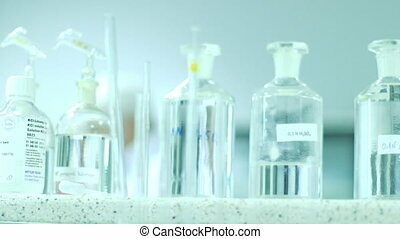 Scientific researchers carrying out chemical experiment and examining test tube with solution in chemical lab. Dolly shot. 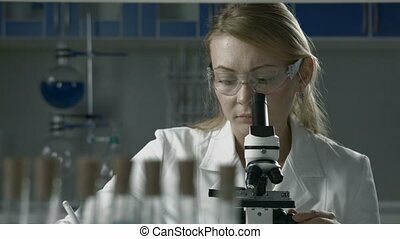 Professional female lab technician in protective eyewear doing microscope sample analysis and taking notes over modern lab enviroment. Life science female researcher microscoping in scientific genetic laboratory. 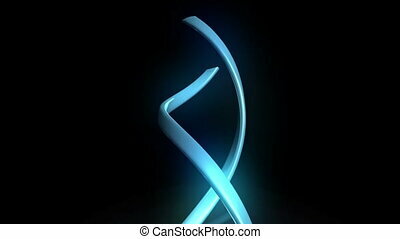 Health care and biotechnology. 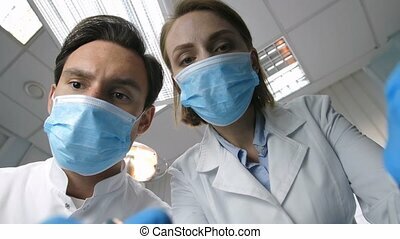 Attractive young female scientist and her senior male supervisor pipetting and microscoping in the life science research laboratory. 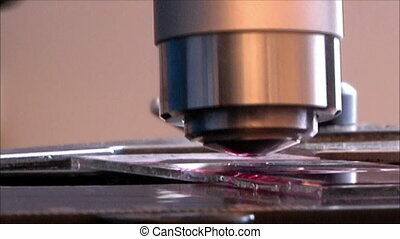 Young female research scientist and senior male supervisor preparing and analyzing microscope slides in research lab. 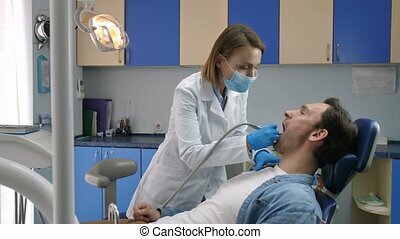 Serious attractive female physician in eyeglasses and lab coat working with laptop in medical office with worried senior ill patient on background. 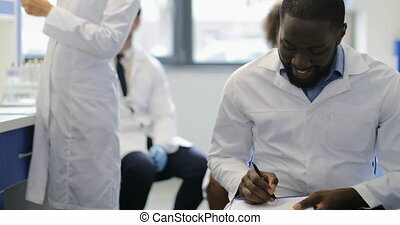 Confident woman doctor writing and filling out a prescription in front of laptop pc.